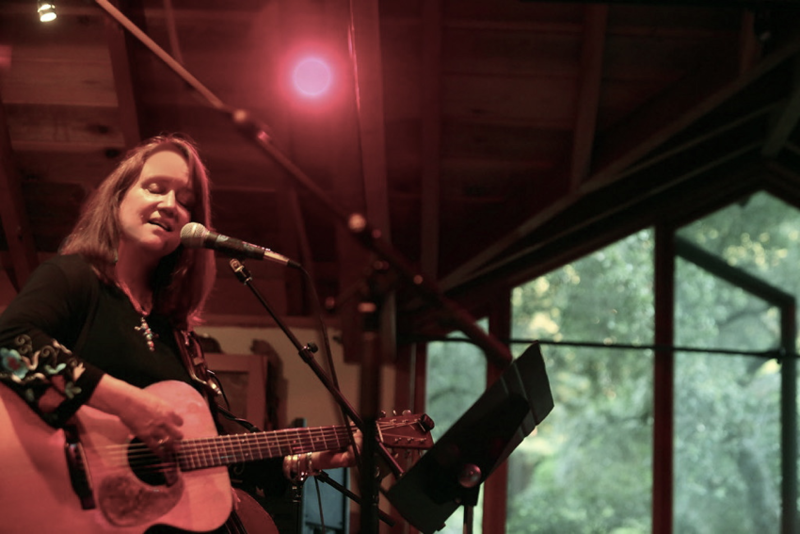 Ginny Mitchell’s music is a “rootsy” mix of Americana, folk and country. An accomplished singer, writer and instrumentalist, Ginny began singing at age 4 and playing guitar at 12. First-time listeners and longtime fans are drawn in by her honest soulful delivery. Her accomplishments started in British Columbia, Canada, where Ginny won the Canadian County Music Associations Best New female Vocalist. This win lead her to tour throughout Canada and the US. Her firstCD, “A Wild Rose” had a sweet roster with Bela Fleck, Alison Krauss, John Jorgenson among others. Her CD, “Just to Hear Your Voice”, has also received praise and airplay across the US. ​Ginny is completing songs for her fall studio sessions. She has a regular rotation of gigs, students and film production work. Ginny maintains the Digital Media Factory. a business she and husband, Marty Collins, founded, from her home in Santa Cruz, California.